Many people see LinkedIn as the social networking site for those in, or wanting, a corporate career, and in many ways it is but it can also be useful for growing businesses. Linked In is described as the professional networking site so is great for establishing your qualifications and experience for your role. Link your blog to your Linked In page so you can demonstrate current expertise and keep your page alive without too much time or effort. I’m only one Linked In connection away from a person I may want an introduction to. The concept behind Linked In is that we are never more than six connections from anyone so it’s a great place to find ways to connect with key targets. 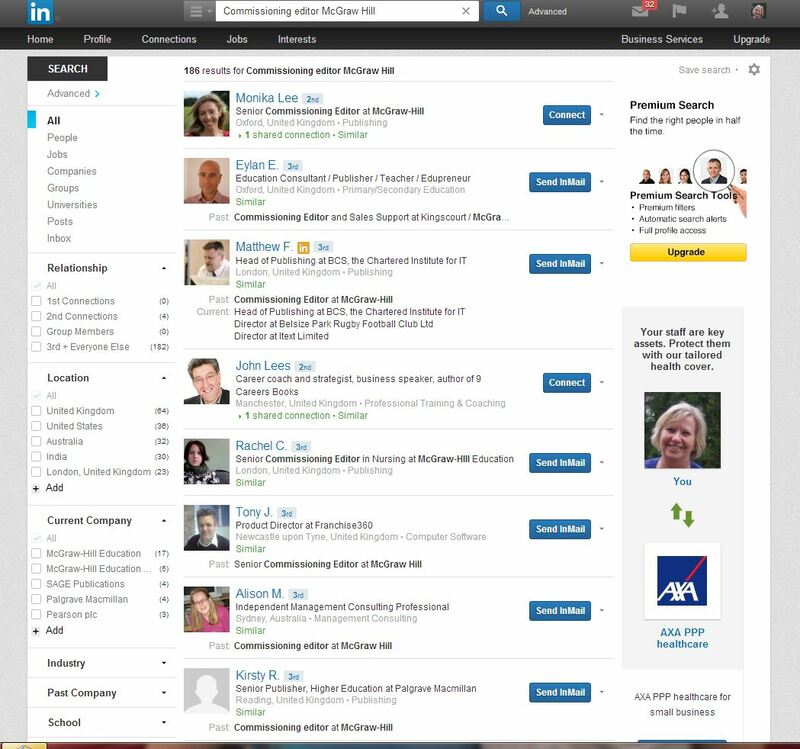 Search for your target by name or job role and then Linked In will show you how you are connected. For example, on my bucket list is writing a book so I decided to search for a commissioning editor of business books at McGraw Hill, one of the leading publishers in the category. I found that I only need one connection to get an introduction! So if you have an ideal prospect, someone you want to joint venture with, or someone you want to pitch to, why not search for them on Linked In and see who could introduce you? Just make sure your profile is up to date first. Do you have any success stories on Linked In? Please share them here. This entry was posted in Marketing, Networking, Small business advice and tagged Linked In, networking, Social media, Social media marketing, targets by glendashawley. Bookmark the permalink.